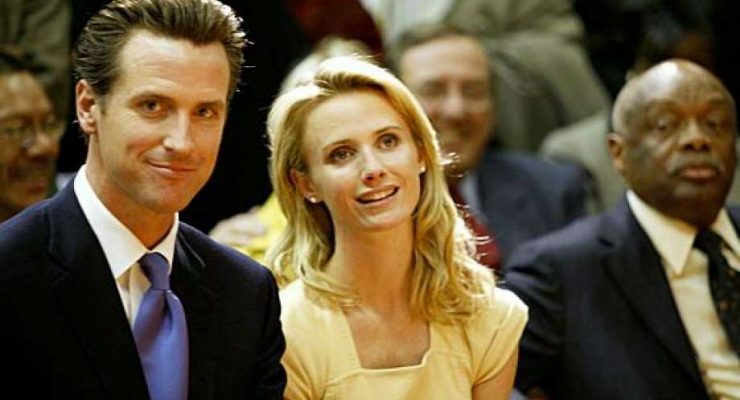 Meet Jennifer Siebel Newsom; she is the gorgeous wife of California’s Lt. 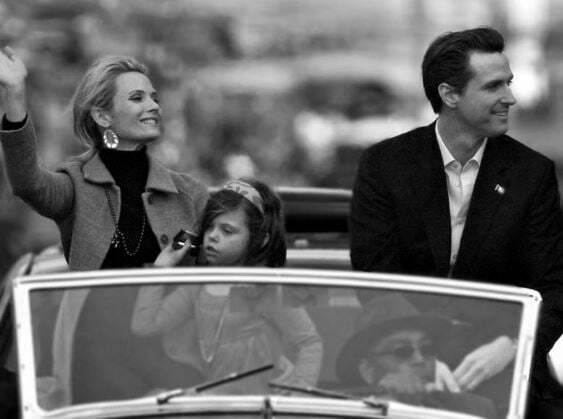 Governor, Gavin Newsom. 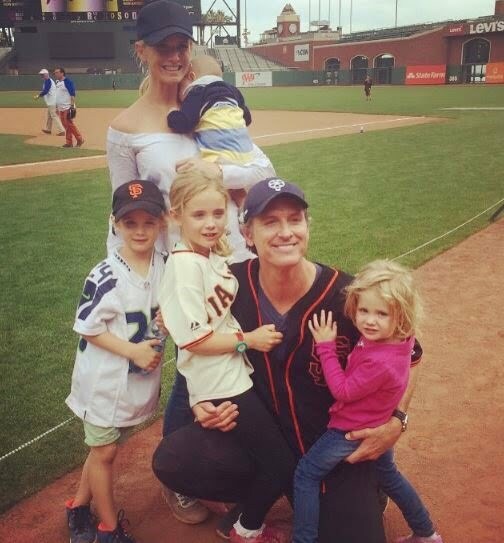 The couple has been married since 2008 and is the proud parents of four incredible children. 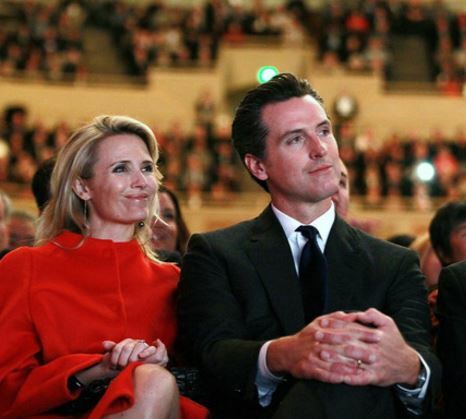 Keep reading to know Jennifer Siebel Newsom’s biography. Actress Jennifer Siebel would meet her future husband on a blind date in 2006. About six months later the couple announced their engagement. 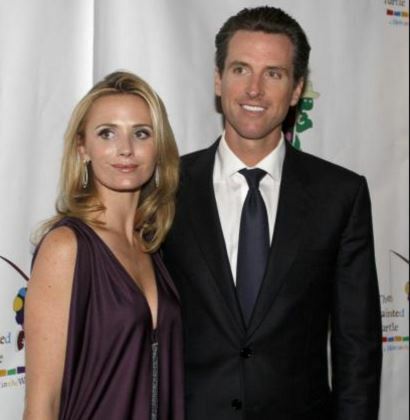 Subsequently became Jennifer Siebel Newsom in July 2008. 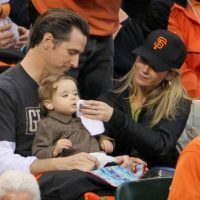 Like many in politics, her husband hasn’t scape scandal. 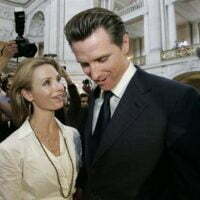 Back in 2007, it was revealed Gavin had an affair in mid-2005 with Ruby Rippey-Tourk, the wife of his former deputy chief of staff and then campaign manager, Alex Tourk. 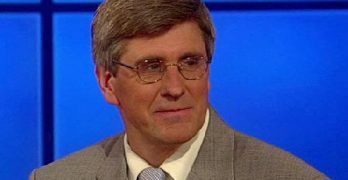 At the time of the affair, Gavin was married to his first wife, Fox News contributor, Kimberly Guilfoyle, now dating Donald Trump Jr. 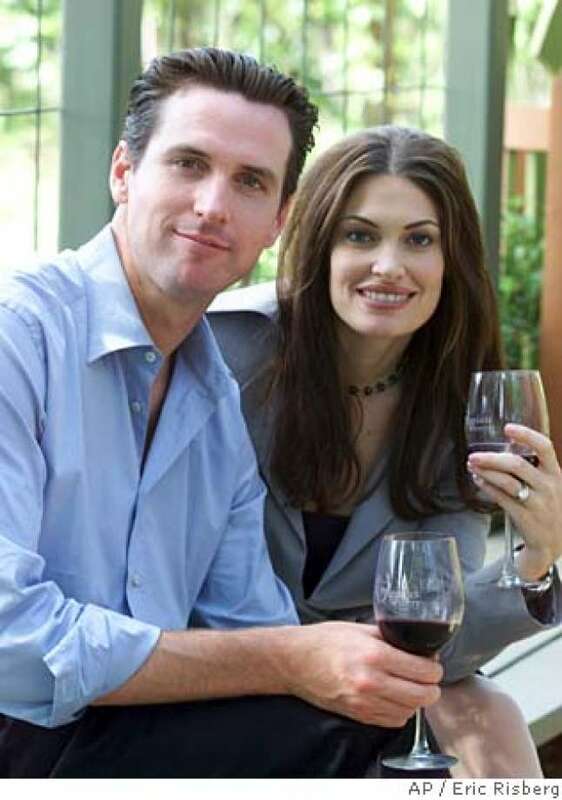 The couple remained married from 2001 until their divorce in 2005. 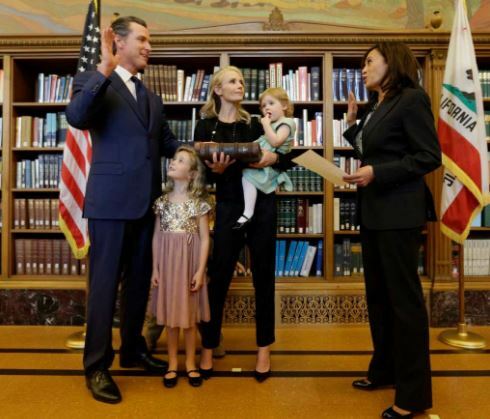 Jennifer Siebel Newsom and Gavin welcomed first child, Montana Tessa Newsom in September 2009; the couple welcomed a son, Hunter Siebel Newsom, on June 12, 2011. Daughter Brooklynn was born on July 3, 2013. Their latest addition to the family came on February 26, 2016, with the birth of a son, Dutch. 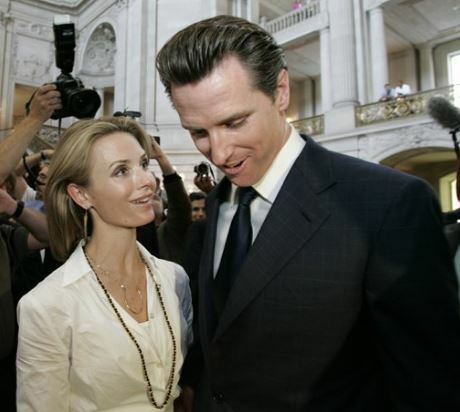 Prior to becoming the wife of a politician, Jennifer Siebel elected to pursue a film career. The blond actress-producer was born Jennifer Lynn Siebel on June 19, 1974. 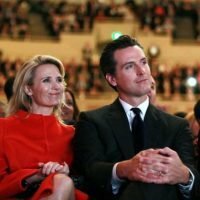 She is the daughter of Ken, an investment manager (second cousin of Siebel Systems founder Tom Siebel); mom Judy, is the co-founder of the Bay Area Discovery Museum in Sausalito. 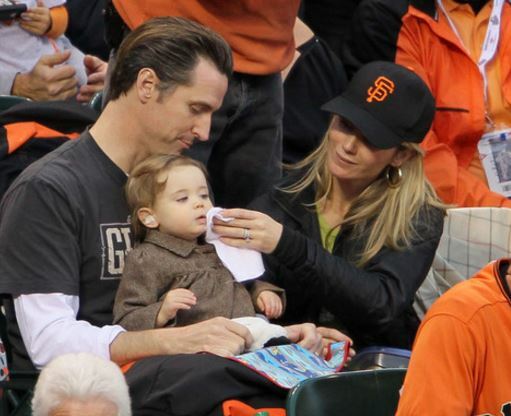 Born in San Francisco and raised in Ross, where she attended the Branson School. She grew up immersed in the sports world: tennis, basketball, horseback riding, skiing, dance and playing on the U.S. Women’s Junior National Soccer Team. She attended Stanford University, earning a bachelor’s and postgraduate degree there. She traveled around the world, living in Africa, Europe, and Latin America with Conservation International, an environmental organization that works in more than 40 countries on four continents. Furthermore, Siebel has nurtured her career by taking bit parts in major motion pictures, including the Jack Nicholson-Diane Keaton romantic comedy “Something’s Gotta Give,” and leading roles in independent films, in addition to other television and movie appearances. According to a 2007 interview, she also ran her own production company, Girls Club Entertainment; which had a slate of proposed pictures that highlight accomplished women. 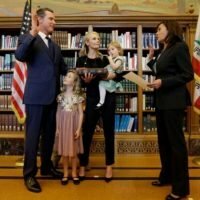 According to her page, the wife and mom of four is currently a speaker and President and CEO of the non-profit organization, The Representation Project. 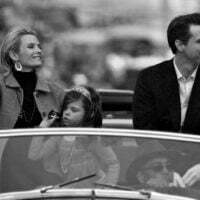 Moreover, as for her romantic life before Gavin she dated Academy-Award winning actor, George Clooney.